If you ever have any questions, give us a call. 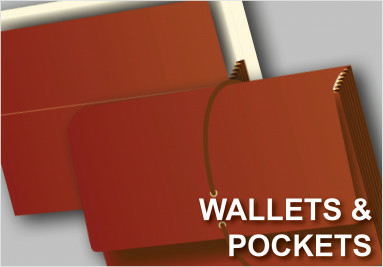 Pay with a credit card or choose to be invoiced. 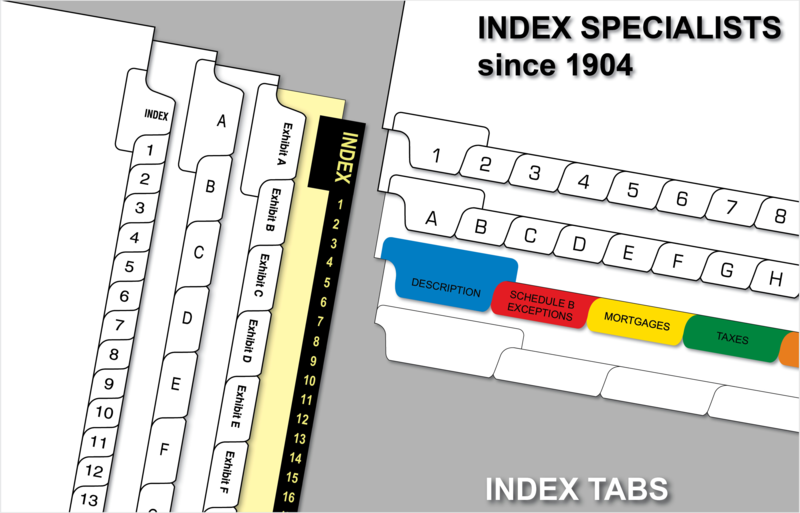 For over 100 years, we've been serving index tabs and exhibit tabs to thousands of law firms, court reporters, accountants, banks and large and small businesses nationwide. 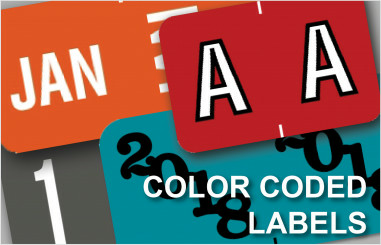 Our broad range of items are all in stock and ready to ship same day. 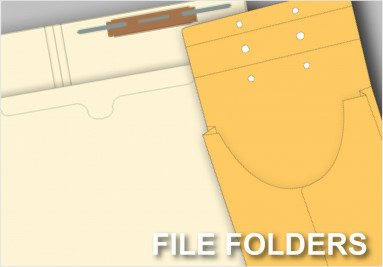 Our breadth of items include not only side index tabs but also bottom index tabs, standard-sized 11" index tabs and legal-sized 14" index tabs. 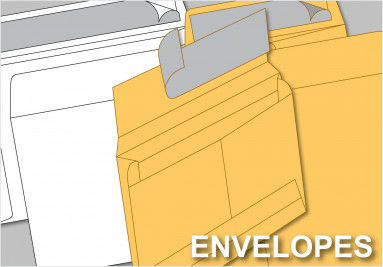 We offer a wide array of blank index tabs in multiple sizes. 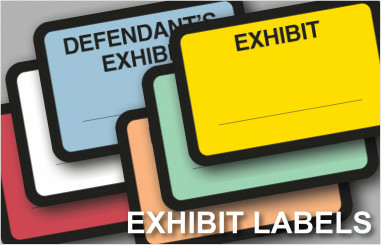 In addition to our exhibit tabs, we also stock multiple varieties of exhibit labels, numerous styles of file folders, as well as color coded labels and medical labels. Take a look around the site and discover why we have been the industry leader for over 100 years.